I earned my PhD in Physics 12 years ago. Since then, I have worked as a Research Scientist in the field of computational astrophysics. Being graduate student, I took advanced courses in Mechanics, Electricity and Magnetism, Thermodynamics, Statistical Mechanics, Quantum Mechanics, Astrophysics, General Relativity, and Scientific Programming. I also took the associated Mathematics courses, such as Mathematical Physics, Numerical Methods, Differential Geometry, etc. Much of this material was used in my PhD thesis and current research. I have extensive tutoring experience both in Physics and in Math (Physics I, II, AP Physics, High School Physics, Calculus I-III, Algebra, SAT, ACT). I have also taught Physics for MCAT. My approach is rigorous and intuitive, and I try to improve conceptual understanding while presenting practical methods to recognize and solve problems. I'm looking to help students at all levels to better understand math and physics and improve their results. If you feel you have been underperforming in physics or math because your current teacher/prof can't explain the material in a way that makes sense to you, let me a try. I have been mentoring and tutoring students since college, have experience teaching students with different backgrounds, running courses for undergraduates, and the SAT/ACT courses for high school students. I have eight years' experience in online tutoring. Some of my online students received a perfect score on the SAT math. I believe in making the complex understandable by relating to common sense and everyday experiences. I will listen to your needs, whatever they are, and will help you develop a successful strategy for reaching your goals. Able to assist with all High School Science and Math courses, Undergraduate Physics courses, and potentially a Few Other Things. Konstantin had his first session with our daughter today and it was a great experience. He helped her bridge the gap between Honors and AP Physics in her first session. She is looking forward to working with him this semester. Before meeting with Konstantin, I would Google subjects without finding answers to my questions. Since my class is an advance physics class, YouTube was also not helpful. I tried getting different books but once again, I needed help with understanding the concepts. Then I tried my last resource which I have never used before, getting a tutor. 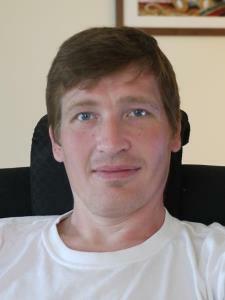 I wished I would have saved myself all the stress by having Konstantin tutor me. He has a compete understanding of advance physics and thermidynamics. He also has the ability to patiently teach the concepts. I honestly did not think I could find anyone to help me. So if you are looking for help, look no further and waste no more time. Hire the best, hire Konstantin!